As summer carries on and we keep using our air conditioners on a daily basis, we hope that yours is serving you well. AC maintenance is the best way to ensure this is the case. But of course, there are some instances in which maintenance cannot prevent a cooling system from breaking down, particularly if that system is aging. Most air conditioners, when well cared for, can last about a decade with peak efficiency. If your system is older than this, and you’re considering a new method of air conditioning in New Braunfels, TX, you’d do well to consider the ductless air conditioner. There are a variety of benefits to doing so, which we’ll get to below. The biggest advantage, though, may be your ability to zone-control your cooling. If you’ve lived through a summer before in Texas, you know that the temperatures can soar to brutal levels. An air conditioner is a necessity for making it through the season. Not only an air conditioner, but one in excellent operating condition, free from malfunctions and impending malfunctions. How can you prepare your AC to handle the Texas heat waves? We have some tips to get you started with armoring up your cooling system for the days when the thermometer goes above 100°F. 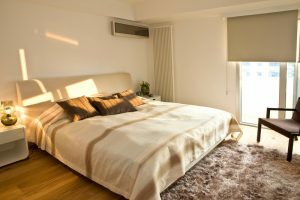 A well-cared for air conditioner should be capable of handling that, and all the other hot days you may encounter as well. Start off your AC care with air conditioning maintenance in New Braunfels, TX from Cowboys Air Conditioning & Heating. Call us today to sign up. 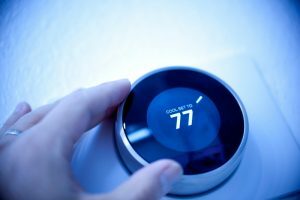 Have any necessary repairs done as soon as possible: It’s unwise to begin the summer season with an air conditioner that has a malfunction, even if the malfunction doesn’t seem to affect the system’s cooling performance. Repair needs will make the AC strain, which will make it more expensive to run and trigger further malfunctions. Repair now so you won’t have worse problems later—like an abrupt breakdown. Clear the area around the outside cabinet: The outdoor condenser of your air conditioner needs to have a clear region around it for the proper release of heat. If shrubs, gravel, stones, fallen branches, and other debris are too near it, they can get pulled into the cabinet and cause damage to the components. Clear away all the “driftwood” that might have gathered there in winter. 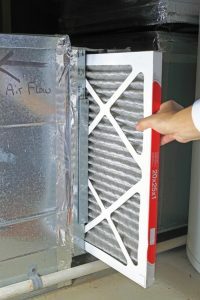 Change the air filter—and keep changing it: The air filter in your air conditioner prevents dust and dirt from coming through the return vent and entering the indoor cabinet. If the filter becomes clogged, it will choke off the airflow to the furnace and make it work harder. Change out the filter for a clean one at the start of the season, and change it every month for the rest of the summer.